Finance Minister, Alexei Kudrin has set out a radically changed budget outlook for Russia, showing a mounting global economic recession will hammer government revenues and create a massive shortfall. 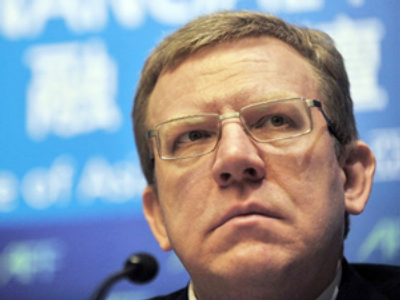 Addressing the State Duma on Friday Kudrin pulled no punches, saying that 2009 could see the Russian Budget undergo a 40% drop in revenues – worth 4.4 Trillion Roubles or $124 Billion. Kudrin added that over the last 3 months the managed devaluation of the Rouble had contributed to a major fall in investment, in the face of massive forex purchases. He noted however that this had some potential upside when the devaluation finished, providing inflation could be tamed.